By Mary Lyon, R.N., M.N. The mission of The ALS Association includes helping people improve the quality of their lives and providing support to assist patients and their families in living with the disease. Within the context of recent events about people with ALS and suicide or physician-assisted suicide, this paper offers The ALS Association's perspective. Although it is not the role of The ALS Association to come out on either side of the suicide or physician-assisted suicide issue, it is our role to provide information on clinical care available for people with ALS. As the motor neuron impairment progresses, these clinical management options should be considered in making life or death decisions. 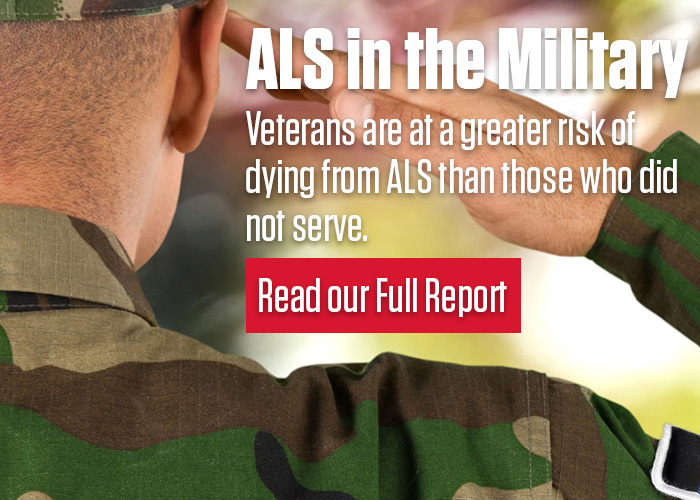 While staunchly supporting the right of people with ALS to make health care decisions affecting their life and death, The ALS Association believes just as strongly in the right for people to be fully informed about ALS including symptom management and comfort measures as ALS progresses. This paper is based on the experiences of the hundreds of people with ALS with whom we come in contact every day. It provides a general overview of information and alternatives, not an individual treatment plan. People with ALS should consult their physician and other professionals in their health care team about the information contained in this paper. Naturally the most powerful reasons for living are personal - family, friends, important events to be a part of, or goals to be accomplished. People with ALS tell us about wanting as much time as they have to spend with their spouse, children and grandchildren, to attend a wedding or graduation, or to accomplish important goals in their life "(After the diagnosis) I spent a few years anticipating death instead of life. What a waste of precious time," shares Ann G. Smith from Florida. Walter G. Bradley, DM, FRCP, University of Miami, points out, "There are patients in whom the ALS has remitted; I have seen three and there are several in the literature. There is an even greater number of patients in whom the ALS seems to burn itself out; these patients stabilize and remain in whatever state they had reached by that time. A significant proportion of ALS patients have a much slower progression than the average; 10% of people live 10 years and 5% live 20 years. Perspective from Hiroshi Mitsumoto, M.D., Cleveland Clinic: "In a review of ALS published in the Archives of Neurology in 1988, I quoted Lewis Thomas. 'The whole field of biomedical science is on the move as never before in the long history of medicine. I don't know what will happen over the next 20 years, but my guess is that we are on the verge of discoveries that will match the best achievement in infectious disease a generation ago.' In ten years - just half of Lewis' prediction - we now know the gene responsible for some familial ALS, we have the first drug we can prescribe for ALS, we have a real animal model for this disease and we have incredibly important knowledge on the cell death mechanisms of motor neurons in ALS. Yes, the progress still appears to be too slow for anyone waiting for a breakthrough, but we are truly on the verge of more exciting discoveries. We have solid reasons for strong hope in ALS." There is no question about whether the cause of ALS will be found; it is only a question of when. With glutamate and free radicals firmly implicated in the causation of ALS, there has never been a more hopeful time in the entire history of this disease. ALS is a complicated condition that has not easily given up clues to its causation or biology over the past 150 years. For the first time in over a century and a half, we have a drug to fight ALS, several more in clinical trials and many scientists involved in pre-clinical work that will lead to new therapies. For the first time researchers and clinicians are publicly talking about what they believe will be the eventual description of ALS - a cascade of events starting with some trigger event in a possibly predisposed person followed by a chain of biologic reactions resulting in neuron cell death and propagation of cell death throughout the motor nervous system. Pieces of the puzzle are taking shape in researchers' minds. There have been more significant scientific discoveries about ALS in the 1990's than in the entire time since it was first described in the mid-1800's. The recognition by Jeffrey Rothstein, M.D., Johns Hopkins, of the role glutamate plays as a neurotoxin in ALS led to the first FDA approved drug for ALS - Rilutek. Clinical drug trials demonstrated use of Rilutek resulted in a three-month increase in survival. A recent review of the study data by Theodore Munsat, M.D., Tufts University, suggests that Rilutek delays the progression of weakness and paralysis from the early stages of ALS to the more disabling stage. This may mean that people taking Rilutek will have more time in the stages of ALS with the least functional disability. The discovery of mutations in the superoxide dismutase (SOD1) gene in 20% of the people with familial ALS by Robert H. Brown, Jr., M.D., Massachusetts General Hospital, and Teepu Siddique, M.D., Northwestern University, has provided a monumental step in focusing research that is leading to new knowledge for both familial and sporadic ALS. Knowledge of oxidative injury to nerves that can result from this defective gene has led many clinicians to recommend antioxidant therapy for people with ALS. The ALS Association currently supports seventy-two active grants with commitments of over eight million dollars in basic science research projects through the generosity of its donors. In November 1998, The ALS Association's Board of Trustees adopted a bold new research initiative. The purpose of the new program is to accelerate progress from research to therapy. It is a goal-oriented, proactive strategy aimed at stimulating and coordinating research in academic and private industry which will lead to drug discovery. Throughout the country there are clinics and centers specifically designed to provide care to people with ALS using an interdisciplinary, comprehensive team approach. These clinical centers combine knowledgeable, experienced health care providers with aggressive management and therapy for the symptoms of ALS to help patients maintain as much independence and functional ability as possible for as long as possible. These clinics and centers ensure that people with ALS and their families are not abandoned and that they continue to receive support throughout their lives from the staff at the centers and The ALS Association's chapters and support groups. Included in the services provided by ALS clinics and centers are therapies and devices to maintain as much function in the arms, hands and legs as possible. Techniques and devices to continue communication for people who have lost their ability to speak are a crucial service. Additionally, a variety of interventions are available to support nutrition that is related to feelings of well-being, prevention of further muscle loss and providing strength to support breathing. Today there is a great deal to offer people with ALS to maintain breathing function for a long time. Non-invasive ventilation has revolutionized the care of breathing problems in ALS. Dr. E.A. Oppenheimer, Kaiser Permanente (Sunset), states, "With the technology and knowledge we have today, we can support breathing through non-invasive means or tracheostomy so people can extend their lives for years. Many of my patients who decide to use mechanical ventilation and can arrange good care, are able to continue living and eventually die of causes such as heart attacks that affect all people. Most people with ALS, as with any serious, chronic illness, experience anxiety and depression. These symptoms can be treated with medications, counseling and support groups. People do not have to suffer stoically the disabling feelings associated with depression, anxiety or the other understandable feelings patients may experience. A new clinical management research program has been designed specifically to discover how clinical care for people with ALS can be improved and the symptoms of ALS lessened. This ALS Association sponsored program is funding three research studies in 1999 designed to improve living with ALS. The ALS Association offers a myriad of patient services for people with ALS and their families. The National Office has a toll-free information and referral service (800) 782-4747 as well as an extensive number of informational materials. A nation-wide network of chapters and free-standing support groups across the country reach out to people with ALS and their families to provide information, equipment, support, services and referrals. ALS is a family disease. The ALS Association and the ALS clinics and centers throughout the U.S. involve family members as an integral part of the treatment and care of people with ALS. "Data on over 100 people with ALS who were enrolled in the ALS C.A.R.E. project suggest that most people die peacefully with this disease. Many patients were treated in hospice, and the quality of care administered in the terminal phase of ALS appeared to provide a high level of comfort, according to caregivers who were present in the last days of life," reports Robert Miller, M.D., California Pacific Medical Center. I can remember how frightened my daughters and I were that Tom would die choking, like a drowning man, and we would have to stand by helplessly," recounts Pat Snyder, R.N. who lost her husband to ALS in 1997. "Our doctor told me that this would not happen and Tom would die peacefully - and he did. His breathing became slower and shallower and he went to sleep. In several hours he died peacefully. He was able to spend his entire illness at home with his family and we were comforted that he did not suffer." Some people with ALS fear they will die choking and gasping for air. This fear can create panic for both patients and their families. The reality is that most people with ALS die very peacefully and for those who do have trouble breathing or experience choking, there are things that can be done to reduce or eliminate these problems. Having the patient and family prepared to create an atmosphere of comfort and dignity at the time of death can assure a death without pain or anxiety. By discussing concerns in advance with their physician and nurse, patients and caregivers can be prepared with medications, nasal ventilation, oxygen and suction in the unlikely event that these interventions are needed to assure the patient is comfortable as death draws closer. There is no reason that people with ALS have to live in pain. Although only a limited number of people with ALS experience pain, the thought of living with constant pain can be frightening. The disease itself does not cause pain. Rather, the effects of the illness, weakness, paralysis and the resultant immobility can lead to musculosketal pain. There are actions that should be taken to prevent the cause of this pain and treat it if it does occur. Keeping all joints in the body flexible through range of motion and physical therapy is the most important pain prevention action that can be taken. Learning to avoid injury is another important intervention that patients and family members can take. If people do experience pain there are medications and other therapies such as heat and massage readily available that are effective. It is imperative that patients and their family members know that usually people with ALS tell us they do not have pain. For those who do, the pain can be prevented or alleviated. For patients to be in control of which interventions they do or do not want at the end of life, it is important that they discuss these issues with their family and with their health care providers. Creating an advance directive document or living will is an important step in communicating the desires and decisions of a person with ALS. Planning is key to placing patients in control and respecting their wishes. By letting family and health care providers know their wishes regarding a feeding tube, nasal ventilation or tracheotomy, patients' decisions can be respected. Even this is not enough. Both patients and their families have to be prepared by their health care providers for what to expect at the time of death to relieve some of the natural anxiety and fear of the unknown. Knowing what to expect and what they can do to assure a calm, peaceful death will help people with ALS and their families experience a death without pain or discomfort. "Hospice is an answer for many people with ALS at the end of their lives," concludes ALS nurse Linda Boynton de Sepulveda, D.N.Sc., R.N., UCLA. "With a multidisciplinary team approach to palliative end-of-life care, hospice services can be provided in a care facility or at home. Advantages of hospice include a focus on comfort and relief of symptoms like pain and breathing difficulties. Having hospice services assures that patients and family members have an advocate for care and comfort at the end of life and they provide close knit support for the patient and family." Hospice programs also provide resources that may not be available from any other source. While today we do not have a cure for ALS, physicians, nurses, social workers and therapists are aggressively providing care, symptom management and support for the thousands of people living with this illness. One can choose to continue living with ALS using various treatments and assistive devices. Ultimately, each person with ALS will make his or her own individual decision about how to deal with the diagnosis and how he or she will live with ALS. In making this decision, The ALS Association believes it is essential that all people with ALS know what treatment options are available and that they do not have to fear living in pain, choking or suffering from depression.